mFashion looks really impressive with great banner on home page. It is really clean, bright and highly versatile. Now it has 2 coloured skins for you to choose. Functional modules are on the right side. 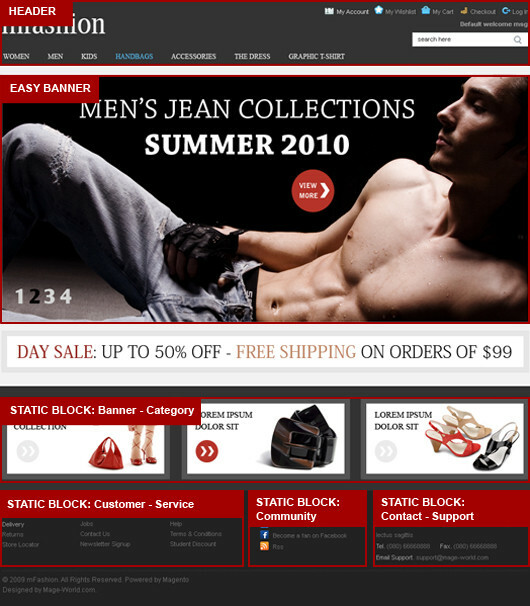 In addition, this theme allows you to show products as grid or list on the very customizable subpages. This theme uses Easy Banner extension, Smart Menu extension.